Thursday Moda #1 and more Blanket Scarves. Welcome to day 4 of Blanket Scarves Week, also the 2nd day I am collaborating with Emily, where we both show you two different ways to style a Blanket Scarf. Today is also a very special day because I am starting my own link-up and it is the first one. The name of it is "Thursday Moda". Moda means fashion in Albanian so I wanted to incorporate that into the title. Since Emily is joining me in our 2nd day of our mini series this week, it is perfect to have her as my first co-host for this linkup. =) Today we are styling almost identical scarves: both are a light gray with white stripes/plaid design. How cool that we both decided to pair them with white on top though for different climates. While I am still very Wintery, Emily's outfit is great to transition into Spring. Speaking about the linkup, I have wanted to start my own linkup since two years ago. Laura and I even talked a couple of years ago, about doing one together. Then Laura started hers (on Tuesdays) and I got busy. The timing was never right for a weekly linkup, I guess. Well, finally with a brand new design and a blog re-launch, this new link-up is perfect. I picked Thursday to challenge myself to start scheduling posts ahead because Thursdays are indeed my busiest days of the week and my longest work days too, plus I usually tutor on Wednesday Evenings (and I come home real late). Today (I failed) the linkup is a few hours late, but usually it will be up on Wednesday Eve (the previous night) around 9.30-10.00 PM Eastern time. Since bloggers come from different states, time-zones, countries and continents, I thought having the linkup open since the previous night was a good idea. And of course the linkup will stay open each week till the following Wednesday. I wore this outfit yesterday and I was still really cold despite the wool coat, wool hat and big wool blanket scarf wrapped tightly around my neck. As a matter of fact, it was snowing quite a bit when I took these photos. I am surprised they came out half-decent. This is another New Blanket Scarf (also from Nordstrom, just like the one yesterday). I wore it over my Long Purple Tunic Novelty Sweater which says "Love" (a sweater I bought to wear around Valentine's but I forgot to wear it actually). On the bottom I have on my Black Velvet Leggings and over the outfit, I have on this Gorgeous Off-White Coat by Bebe which has the fun Black Leather Piping and Black Leather Buttons. I am wearing my new Leather OTK Boots and I also accessorized with a Gray Panama Hat which matched the Blanket Scarf to perfection. I am also carrying a Mini Tan+Brown Bag. This outfit is made up of all neutrals (mostly black+white with some gray and a pop of camel) but has that big splash of pretty purple in the middle, which stands out against the neutrals and that is why I called it a success, what do you think? Bright Purple, Long-Sleeve, Intarsia/Graphic "Love" Sweater: JC Penney (New) (similar, Splurge), (similar, Great Deal), (similar, Steal, love this). Off-White Waist-Length Wool Coat w/ Black Leather trimming: Bebe (similar, Splurge), (similar in gray+black, Great Deal, love this), (peacoat option, Steal). Heather Gray+White Wool Blanket Scarf: BP via Nordstrom (New) (similar, small Splurge, love this), (similar, Great Deal), (very similar, Steal). Black Velvet Leggings: White House Black Market (similar, Splurge), (similar, Great Deal), (similar, Steal). Heather Gray Wool Floppy Panama Hat: Old Navy (Gifted) (New) (similar, Splurge), (similar, Great Deal, love this), (similar, Steal). Camel Leather Mini Bag w/ Brown Strap: Marshalls (similar, Splurge), (similar, Great Deal, love this), (similar, Steal). Black Leather OTK Boots w/ side Zippers: Meijer's (New) (similar, Splurge, love these), (similar in suede, Great Deal, love these), (similar, Huge Steal). A little bit about today's co-host: Emily is a stylish girl who wears outfits that are usually a little on the casual side but always look so perfectly put-together. In my opinion she knows the rule of 'the third piece' really well because she is almost always seen with that third piece to complete an outfit (usually a scarf). Emily is the perfect person for this series where we style Blanket Scarves, because as you can see from the collage below, she owns a lot of Pretty Blanket Scarves and wears them effortlessly. I am so honored she decided to be my very first co-host, today. Please make sure you stop by her blog and follow her. "Hello! Emily here. Darling, Dearest is my little space to share some of the many things I love: good style, abundant life, and unfathomable faith. I'm a teacher in North Carolina, which means that my style most certainly comes with a budget! :) Stop by and have a little visit with me; let's be friends! 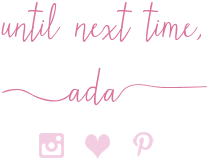 I would love to connect with you on Bloglovin', Instagram, or Facebook!" Jaymie, Jennie, Lauren, Linda, Liz, Melissa with Sheree + Rachel, Nicole, Rachel, Sharon, Tara, Vicki, Victoria, Whitney and The Wardrobe Stylist.